A Google Chrome app Remote Desktop allows you to control PC from android phone. It enables you to remotely access your Windows PC Desktop and thus you can perform any function of your PC from your Android smartphone. Accessing your PC from a phone can be helpful in many scenarios. 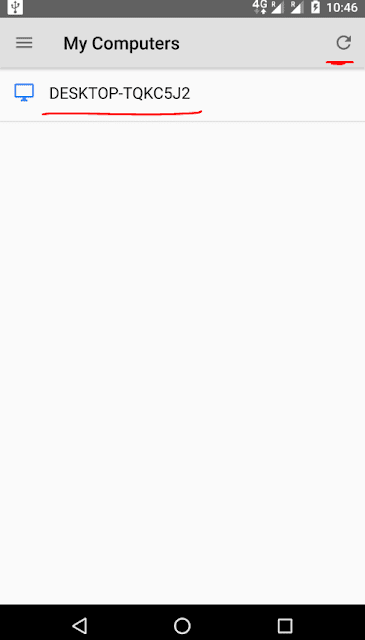 This functionality also come in handy when you need to provide someone technical assistance over the Internet. You can access their desktop right from your Android phone and troubleshoot their system for any problems. So you no longer need to always sit on the front of your PC to access a remote Desktop. You need to run Chrome Remote Desktop app on both PC and Android phone in order to control PC from Android phone. Here is the step by step guide to access your PC from Android smartphone. 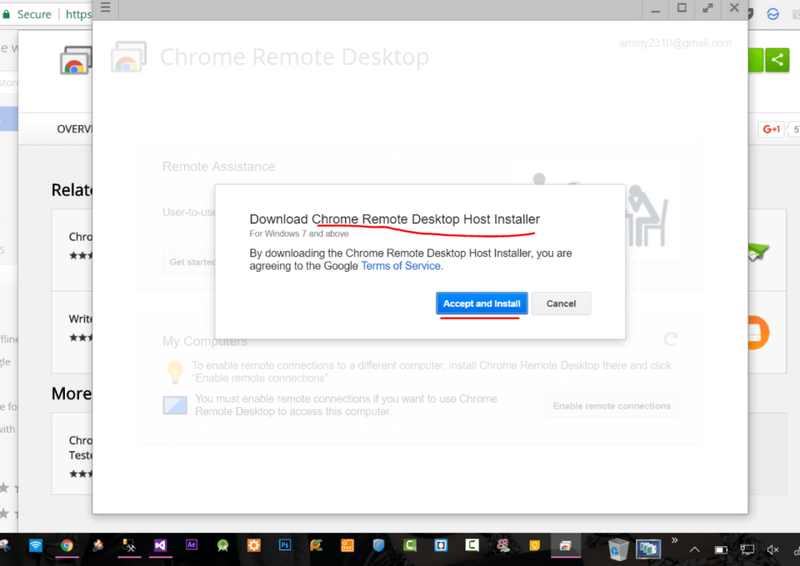 First, install the Chrome Remote desktop app on your PC system from here – Chrome.google.com/remotedesktop . As this is a chrome app, it is available only for Google Chrome browser. Launch the app and click on Enable remote connections. For this you need to download Chrome Remote Desktop Host Installer. 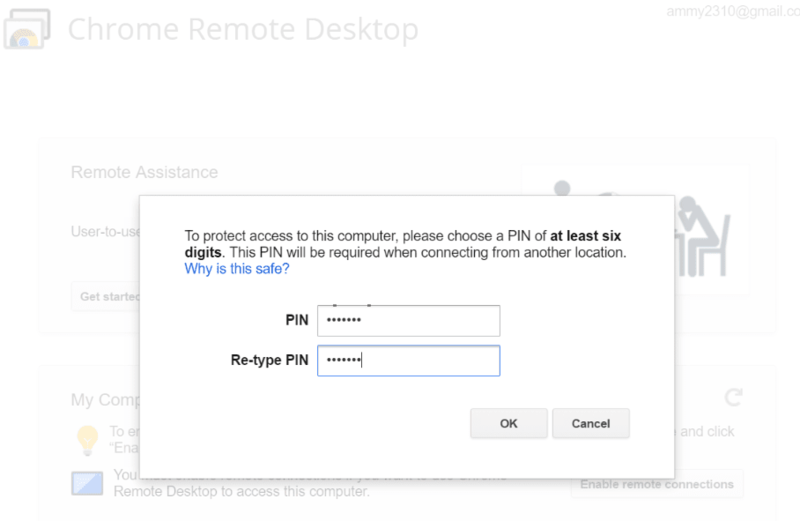 Next, you need to enter a security pin(at least six digit) for secured remote access. You need to share this pin with other users to allow remote access to your PC. Only those who have this pin can access your desktop remotely. After Choosing pin, Your PC is configured to listen remote connections. Remember your pin as the other user need the pin to have access to your desktop. Now, you are only one step away from accessing your PC remotely from your android device. 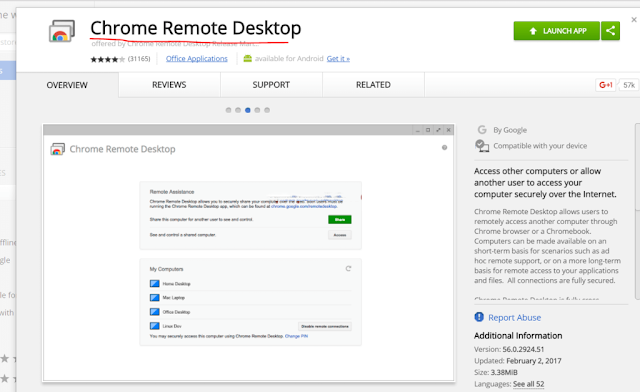 Just install Chrome Remote Desktop app on your Android device from Google play store. Open the app and click on the refresh icon on the top right corner and your desktop PC will appear in the list. 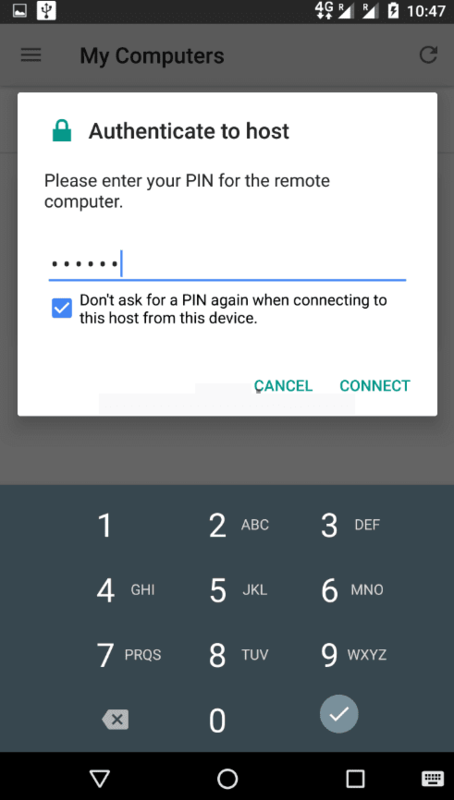 Since you are connecting remotely from an android phone, you need to be logged in with same Google account, both on your PC browser and phone. Click on the Desktop PC name and authenticate the remote connection by entering the pin that you created above. 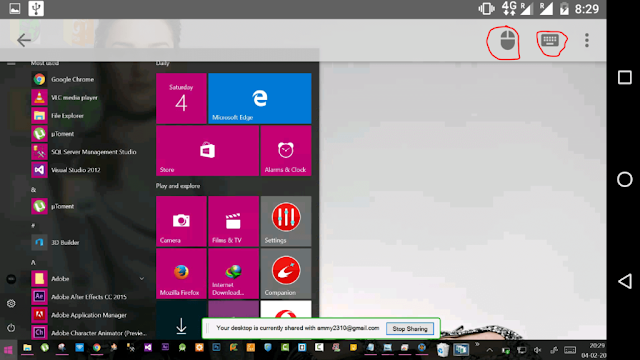 Click Connect and you will be able to access your Windows PC’s desktop on your phone remotely. You can see and control complete desktop view on your Android phone over the remote connection. Turn the phone into landscape for better view. You can open files, resume or stop downloads, start a program, shut down the system or whatever you need to do. This will work on any version of Windows above Windows 7. On your Android phone, you should have a Android version 4.0 or higher for this. You can navigate through your PC’s desktop on phone by using either touch or mouse pointer. There is also a option of keyboard to type on the remote PC through your phone. You can run any program and perform any task on the remote PC through your phone. 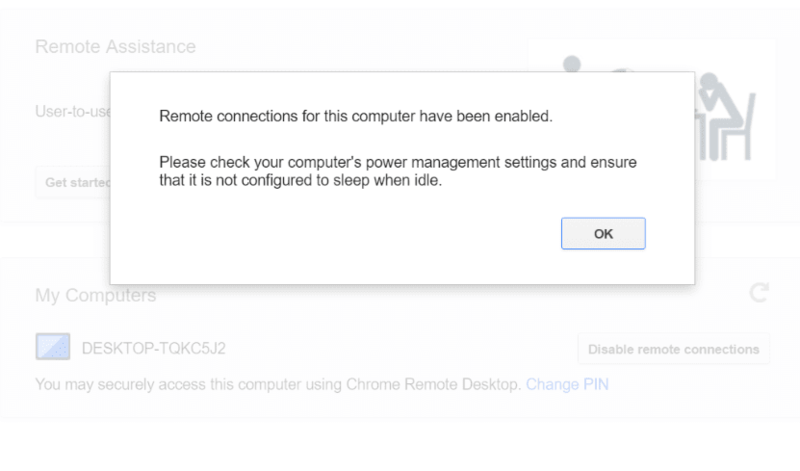 You can connect to PC terminal at any time provided Chrome Remote Desktop app is running on it and it is configured to allow remote connections. Accessing your PC from the phone can be very useful in cases of remote technical support. You do not need to have your system always with you to provide some technical assistance to someone. You can access and manage your own PC or some other person’s PC right from your Android smartphone with ease.